Submitted by Jason Horton on Nov. 1, 2018. First published on Mar. 16, 2016. and last updated on Nov 2, 2018 by Alexander Briones & Jason Horton. This gear guide is sponsored by Sweetwater and you can click through to their website to read customer reviews, check prices, or make a purchase, however all of the recommendations below have been made by the Gearank team. With so many microphones flooding the market, finding a good one for can be quite tedious and time consuming. This is where we come in with a guide that specifically features the best microphones for singing and rapping live, updated to reflect the most current reviews and ratings up to October of 2018. To keep the guide focused, we prioritized rating mics that are good for live music vocals, as opposed to ones that are suited to speaking conferences or making announcements over PA systems, and miking instruments. Still, while all the mics below are great for vocals, some of them are also viable for use with other sound sources like acoustic instruments, amplifiers, and some of them are also well suited for studio use. This guide is about wired mics (although some can be adapted to wireless use), so if you need to go wireless then read our Wireless Microphone System guide instead. The mics in this section really are the best you'll find for less than $100. If these are out of your price range then I suggest you take a look at the Behringer XM8500 which replicates some of the sonic qualities of the Shure SM58, although it doesn't have the same build quality, and it usually sells for only $20. 94 out of 100. Incorporating 250+ ratings and reviews. 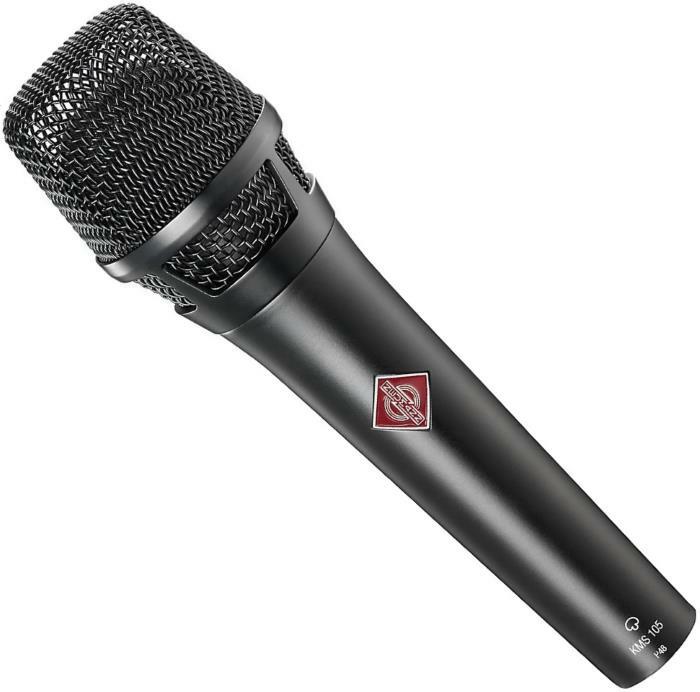 Thanks to the GLS Audio ES-58-S, it is now possible to own a reasonable quality vocal mic on the cheap. 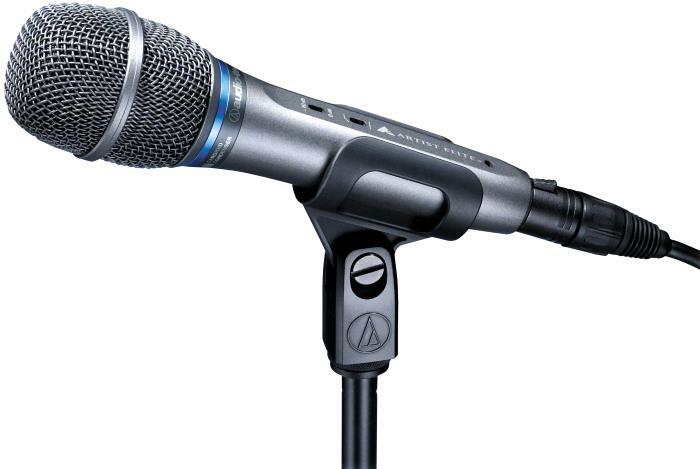 It is said to be based on the popular dynamic microphone Shure SM58, and while it is not a perfect clone, it continues to get really high ratings from those who own it or have tried it. With its conventional shape and dynamic capsule design, there's nothing unfamiliar with this mic, aside from the addition of a power on/off switch, which can be good or bad depending on how the singer holds the mic. The GLS Audio ES-58-S continues to exceed the expectations of users, with plenty of commendations on how good its quality is, given its price. Most of the reports are from satisfied singers, but there are also sound technicians who are happy with its simplicity and ease of use. There are also a good number of musicians who are just as satisfied using the mic with their acoustic instrument or even for amplifiers. There are some reports of minor cosmetic issues, while others report that the mic sound better with some EQ work. If you're looking for a top rated vocal mic that you can get cheap, this is for you. 93 out of 100. Incorporating 6200+ ratings and reviews. Shure launched the SM58 way back in 1966 and the basic design hasn't changed since then. Although there are a growing number of audio engineers who think it's about time we all moved on to more modern mics, and despite all the advances in microphone design over the last 50 years, the SM58 remains extremely popular. These were the first serious microphones I ever had and my bandmates and I put them to good use both at gigs and for recording demos, and I have to say that after the years of abuse we put them through I can't ever remember one breaking down or failing in anyway - these are built to last..
More modern mics don't have the SM58's severe drop between 7 and 8 kHz, but strangely enough this 'deficiency' has become part of the mic's trademark sound. When you sing through one of these you sound like many of the rock stars from the last few decades and I think this is part of the reason why the SM58 still tops the best seller lists at so many music stores. Some people get confused over the 3 different versions of the SM58 but it's quite simple - this is the SM58-LC (link to Sweetwater) which doesn't have an on/off switch, there's also the SM58S (link to Sweetwater) which does have a switch, and finally the SM58-CN which has no switch but comes bundled with a 25" XLR mic cable. With so many mics now available, its impressive how Shure SM58 continues to be the industry standard vocal microphone. Undoubtedly the most common positive mention in both customer and expert reviews is the durability and high build quality of the SM58. This is followed closely by its versatility as people use it not only for vocals but also for miking amps and even drums at live shows. There were no consistent complaints about this version - the SM58-LC, although some people reported problems with the switch becoming 'scratchy' on the SM58S version. Some people remarked that they had unwittingly bought a counterfeit SM58 and some say they had this confirmed by Shure. To avoid this problem only buy from a well known retailer. If you want that classic rock vocal sound then this is definitely the one to get. Even if you out-grow it later it will probably out-last your singing career and you'll find plenty of other uses for it if you get a more expensive mic at a later stage. In this price range there is a genuine step up in quality, so if your budget can afford it, take a good look at the options below. 95 out of 100. Incorporating 175+ ratings and reviews. 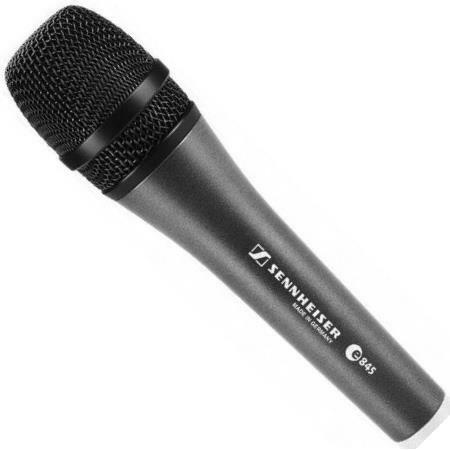 The Sennheiser e845 is a dynamic mic with a neodymium magnet element and a supercardioid polar pattern, both of which improve the mic's Max SPL handling (dB). These features also reduce feedback and ambient noise, even at higher volumes. In addition, the mic's capsule is sitting on a special internal shockmount that helps minimize handling noise. The most commended quality of the Sennheiser e845 is its natural sound and feedback resistance. Some even describe it as being comparable to the quality of more expensive microphones, thanks to its added clarity in the higher frequencies. 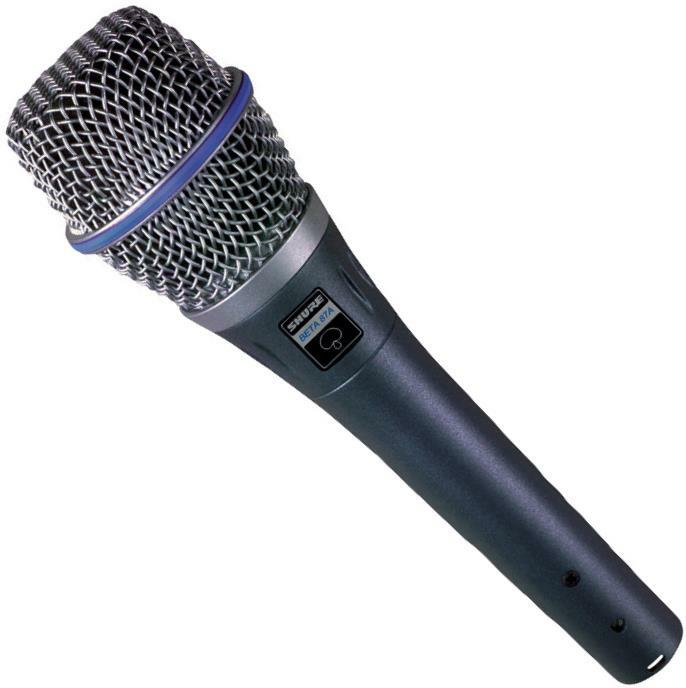 The e845's shape and weight also appealed to many singers. There's not much that people found to complain about. With its enhanced high frequency presence, the Sennheiser e845 is ideal for female and male tenor singers. 96 out of 100. Incorporating 2450+ ratings and reviews. The Shure Beta 58A is a dynamic mic with a supercardioid pattern, which allows for improved feedback and noise resistance. 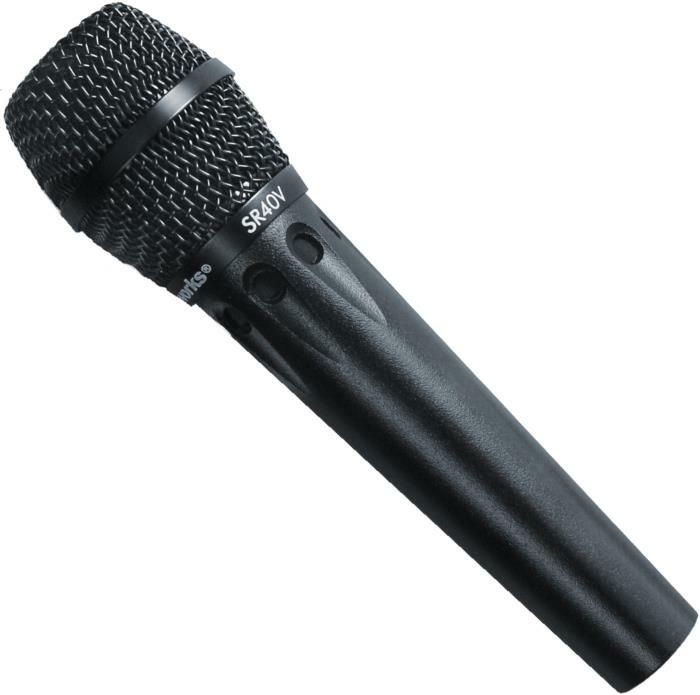 But what separates it from the SM58 is its brightened midrange, which is due to a presence boost within 4kHz and 9kHz. There is also a bass roll-off to further beef up the highs, making the resulting sound clearer, and viable for many different vocal timbres and styles. Finally, the mic capsule is supported by an internal shockmount to prevent handling noise. Those who are not too happy with the rounder sound and bass emphasis of the SM58, found themselves at home with the Shure Beta 58A's clearer sound. Many of the high ratings are from singers who prefer its supercardioid pattern, which allows them to play an instrument and sing at the same time, with less bleeding compared to regular cardioid mics. Durability is also well appreciated, with some even saying that you can use the mic to hammer a nail. With so many different vocal timbres, the Beta 58A is simply not enough to cover them all. As such, there are some who are not happy with the extra highs. If you are looking to add clarity and presence to your vocal sound, then the Shure Beta 58A is ideal for you. 95 out of 100. Incorporating 600+ ratings and reviews. Sennheiser design and manufacture their microphones in Germany and their mics are regarded as being very well engineered. The e935 has a shock-mounted capsule for low handling noise and a hum compensating coil to reduce electrical interference. Many customers who have reviewed the e935 say it sounds very 'natural' - this is due to the relatively flat frequency response it has across most of the vocal range with no pronounced dips and a bit of a boost at the high end. They also frequently mention how well built and durable it is. 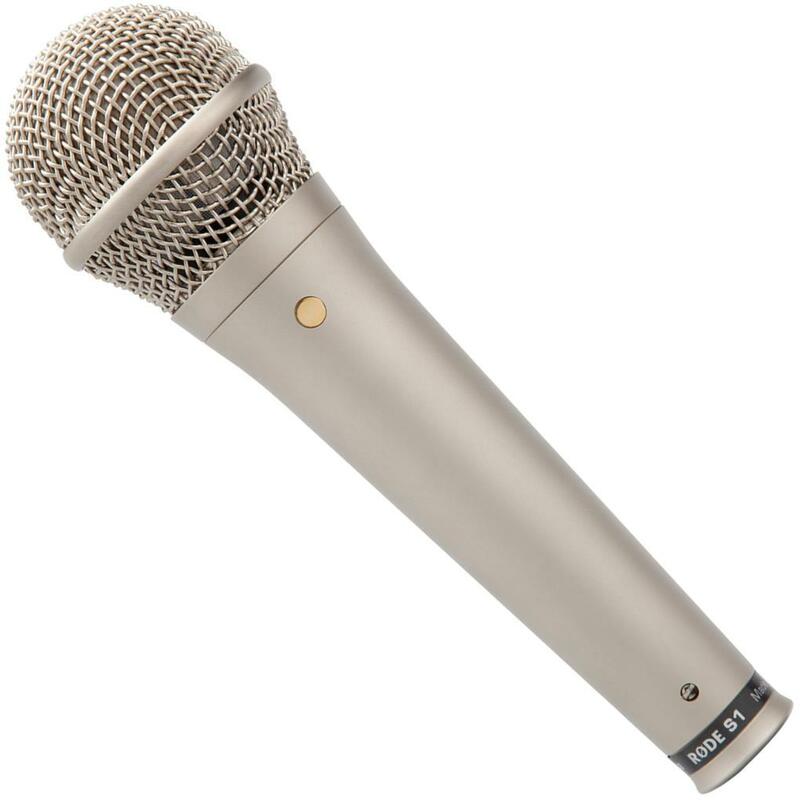 It's really hard to find anyone criticizing this microphone - if you do know of any complaints about this mic then please post in the comments below. Sennheiser have earned their high reputation for quality and many owners say the e935 is not only the best dynamic mic in this price range, but the best outright even when compared to the condenser mics it competes with. 95 out of 100. Incorporating 60+ ratings and reviews. The main strength of the Audio-Technica AE6100 is its built-in open-cell foam pop-filter which helps improve overall sound by reducing background noise and vocal plosives. This works together with its hypercardioid polar pattern and dynamic capsule, making this a good mic on stage, of which reviews attest to. 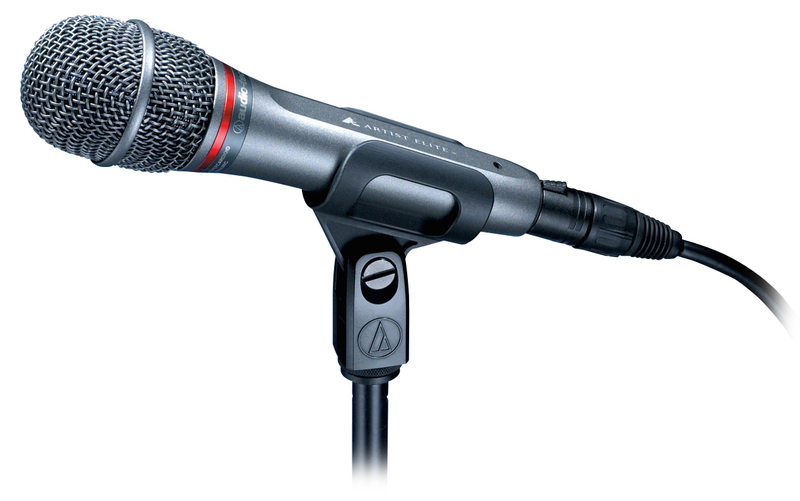 The Audio-Technica AE6100 most of its high ratings from users who are impressed with its sound quality. And what's interesting is how quiet it works, impressing even experienced singers and sound technicians. Most owners also compare it favorably with other mics, with reports of the AE6100 outperforming most of the mics in its price range. There are a few who are not too happy with its aesthetic appeal, while others are not too confident about the mic's long term reliability. With its built-in pop filter, this is a good value vocal mic that you won't regret considering. The Sennheiser e945 has a hum compensating coil to reduce electrical interference and is shock mounted to reduce handling noise. This is an excellent mic for beginners because being dynamic you don't have to worry about phantom power, it's very good at feedback rejection, and it doesn't have an exaggerated proximity effect like some dynamic mics have - all these things make it easy to use. Impedance: 350 Ohms with the minimum terminating impedance recommended to be 1000 Ohms. Customer reviews consistently mention how clear the sound is. Many also attest to its versatility because you can also use it for miking instruments and even amplifiers. The build quality and its ruggedness also came up many times in reviews and comments. There weren't any consistent complaints other than a few people who were used to the SM58 who had difficulty finding the correct EQ settings when they changed over to this one. The Sennheiser e945 is German designed and built to high standards. If you want a high quality microphone that's easy to use then this is one of the most suitable options for you. 97 out of 100. Incorporating 500+ ratings and reviews. The Shure Beta 87A is a condenser mic that's built for the stage, with its comfortable handheld profile, quiet operation and noise reduction feature. More and more singers are switching over to the Shure Beta 87A, thanks to testimonies from former dynamic mic users who are very impressed with the improvements that this mic brought to their sound. Quiet operation and clarity comes up quite often in reviews, while others thank Shure for making this mic as solid and reliable as possible. Not much to report, other than a few who caution that improper mic handling like covering the capsule may cause feedback, which is expected given that this is a condenser mic. Some say you can't buy peace of mind, but the Shure Beta 87A comes quite close to it. 93 out of 100. Incorporating 475+ ratings and reviews. With its old school appeal, the Shure Super 55 Deluxe will easily make a good addition to any stage gear. It doesn't follow conventional cone shape, rather it features a satin chrome-plated housing that's reminiscent of what Elvis Presley used live in the '50s. This vintage look works together with its modern performance and reliability, making it a true stage worthy mic with bonus points for aesthetics. On the inside of its rock and roll friendly exterior is a modern supercarioid dynamic mic capsule that follows after modern mic specifications. The end result being a classic looking mic, with modern ambient rejection and improved sound. One user is on point when he said, "it looks as good as it sounds, and sounds as good as it looks", and even up to the closing months of 2018, this is an accurate statement of how the market feels about the Shure Super 55 Deluxe. Chris Kennedy from Voice Council echoed the same sentiment saying, "if you care about your image on stage, but don’t want to sacrifice on sound quality, then the Shure Super 55 could be exactly what you are looking for." There were some who cautioned about plosive sensitivity, stating that it will require some technique adjustments when used to more conventional mics. Another common concern from singers is the lack of an on/off switch, but I can see sound technicians being happy with this lack. 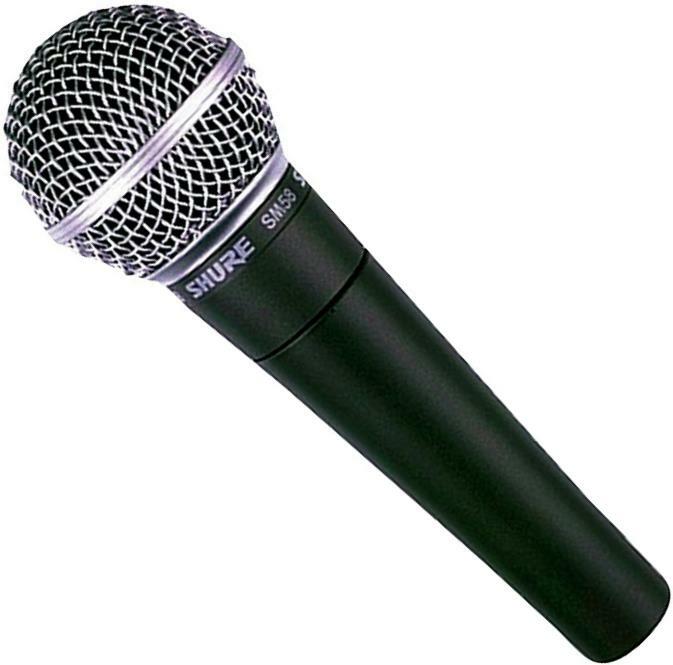 With its combination of sleek looks and reliably good performance, the Shure Super 55 Deluxe is highly recommended. It'll make a great addition to anybody's rig, regardless of musical preference. 91 out of 100. Incorporating 40+ ratings and reviews. Rode is well known for the quality of their condenser mics, and this same quality is present in handheld form within the Rode S1. This mic features Rode's well loved condenser capsule in a handheld vocal microphone with supercardioid polar pattern and an internal pop filter that blocks plosives. The mesh head is heat treated for improved strength and reliability, matching its all metal construction and satin nickel finish. Many of the reviewers are former dynamic mic users who after switching to the S1 are surprised to find "day & night" difference in sound quality. Clean and crisp are just two of the many ways users describe its transparent sound, while others appreciate its solid feel. One user sums up market sentiment nicely by saying that this mic is very very good. There are a few reports of the mic not working with certain cables, but this maybe a different problem entirely, probably a bad cable or wrong phantom power settings on the mixer. If you're familiar with the quality of Rode condenser mics, and you want that same quality in a handheld vocal mic, then do check this one out. 92 out of 100. Incorporating 70+ ratings and reviews. This is another dual purpose mic that works well live and in the studio, in fact Tony Bennett used this mic on his Duets album - I once met him in person when I was doing audio for a location TV interview and he was a great guy as well as a great singer. The AE5400 uses the same capsule as Audio-Technica's well regarded AT4050 studio microphone but with additional features built in to reduce handling noise. Unlike many handheld condenser mics, the AE5400 has a large diaphragm which makes it much more like a studio condenser. It also has a 80Hz high-pass filter to reduce the proximity effect if you like to sing close to the mic, and a 10dB pad which allows you to mic sound sources as loud as 157 dB meaning you can mic just about anything with it. Applications: Live and studio vocals, instruments, amplifiers. Many customers who reviewed the Audio-Technica AE5400 compared it to the Shure Beta 87A and said that the AE5400 has a more full bodied sound with crisp highs. A commonly repeated phrase is that it "cuts through the mix" without coloring or sounding harsh. I couldn't find many negative reviews, although a couple of people said it can be broken if you drop it at few times. These mics are the cream of the crop and will find applications both live and in the studio. 96 out of 100. Incorporating 70+ ratings and reviews. The KSM9 is Shure's premier live vocal mic and with it's dual diaphragms can be switched between Cardioid and Supercardioid polar pattern modes. As well as having a shock mount system to reduce handling noise, it also has a 3 stage grille to reduce pop and breath noise. This microphone is highly regarded by live sound audio engineers due to it's feedback rejection, resistance to popping, quality of construction, and it's transparent sound. Some owners compare this to the Shure Beta 87A and say the KSM9 has a clearer sound and has much less of a proximity effect. The positive reviews consistently talk about the overall quality of both its sound and construction, and it's good handling of sibilance issues. Many reviewers also say this is a professional recording microphone. As you may have guessed by its high Gearank score, I could not find any consistently reported negative comments about the KSM9. If you're looking for a microphone that will give you a transparent sound both on stage and in the studio then this is a great option for you. 99 out of 100. Incorporating 300+ ratings and reviews. The Neumann brand is very highly regarded with studio microphones and that reputation carries over into their live handheld mics as well. The supercardiod polar patter of the KMS 105 makes it exceptionally good at rejecting sound from a full 180° behind the mic. Although the KMS 105 works well for most kinds of vocals, Neumann also have the similar KMS 104 which is optimized for female rock and pop singers. It also uses electronic compensation to control the proximity effect - it has a 120Hz high-pass filter. Michael Buble and Norah Jones are two well known singers who use the Neumann KMS 105 in live concert. Many positive customer reviews talk about how 'natural' this mic sounds and that it's the best live performance mic they've ever owned. Noise and feedback rejection are other features reviewers cite very positively. Several owners report that unless you have a high-end PA system with good mic preamps then you won't get the full value out of this mic and you may as well get a cheaper one instead. The Neumann KMS 105 is best suited to jazz, middle of the road, pop, and acoustic artists where the crystal clear sound can really shine as opposed to heavy metal or hard rock artists where the fine nuances of this mic are lost on stage. 96 out of 100. Incorporating 10+ ratings and reviews. James Taylor has been using the Earthworks SR40V in his concerts since he was first introduced to them in 2011. Other Earthworks SR40V artists include Foreigner, jazz singer Candice Hoyes, and many more. One of the reasons it is so well liked by talented singers and their audio engineers is because it has the most incredibly flat frequency response across the vocal range - you never need to EQ this mic for any reason other than a desired effect, no compensatory EQ is needed. In fact, the Earthworks SR40V has the widest frequency response range of any of the microphones for singing live that I found when researching this gear guide. Earthworks stand behind the quality of this mic because they offer a 15 year warranty. Expert reviewers who have put the SR40V through its paces are unanimous in saying that this mic really does reproduce a studio quality sound on stage. They also say the feedback rejection is excellent and that it has low handling noise characteristics. Most of them said this was the best vocal mic they'd ever used live. A few expert reviewers pointed out that you must have an excellent signal chain from the mic preamps to the FOH speakers otherwise you simply won't realize the benefits of a high-end mic like this. If you're a talented singer who works with high quality PA systems then this is the top choice. You'll also be able to use it on professional recordings. If you're looking to buy your first good microphone then don't be put off by all the technical jargon - just find one in your price range that is highly rated, like the ones above. Over time as you gain more experience you'll start to understand microphones a lot better and down the track you'll be able to buy higher performance mics with confidence. If you're still unsure which mic to get, post a question in the comments below and describe the type of music you sing, and other instruments you might want to mic, and we might be able to help you with some personalized advice. This might seem like a trivial issue, but it isn't. In general you do not want handheld microphones with switches that can be easily accidentally turned off. Most live audio engineers don't like on/off switches because it's really difficult to trouble shoot a mic drop out in the middle of a performance and frustrating when you track it down to the singer turning it off. The exceptions are mics that have switch locks so they can't be turned off by mistake, or if you only intend to use them for karaoke where it's better to turn the mic off in between singers. If you go back 20 years or so you would usually only find Condenser mics in recording studios, and mainly only Dynamic mics on stage - particularly for vocals. This was largely because condenser mics were very fragile and prone to feedback. But times have changed and advances in microphone design have meant that Condenser mics that are specifically designed to be hand held are now capable of delivering 'studio quality' results at live shows. Dynamic mics typically have a lower frequency range but sound 'warm' whereas condensers typically have a much higher frequency range and tend to sound 'brighter'. Condenser mics typically require their own power supply to work properly - either from a battery or phantom power supplied by a mic preamp or mixing desk. Dynamic mics are generally still a bit sturdier than condenser mics, but if you look after your microphones well then this shouldn't be much of an issue. If after reading this you're still unsure which type of mic would be best for you, then get one of each and spend time singing through both of them until you find which type suits your vocals. This is which direction(s) a microphone absorbs sound from. For singing live you generally only want microphones that accept sound from directly in front while suppressing sound that comes from the back or the sides - this is to reduce problems with feedback coming from your stage monitors or front of house speakers. Most microphones used in live performance have a Cardioid polar patter, or a variation of that, to help prevent feedback. The image on the right is an example of a cardioid polar pattern. 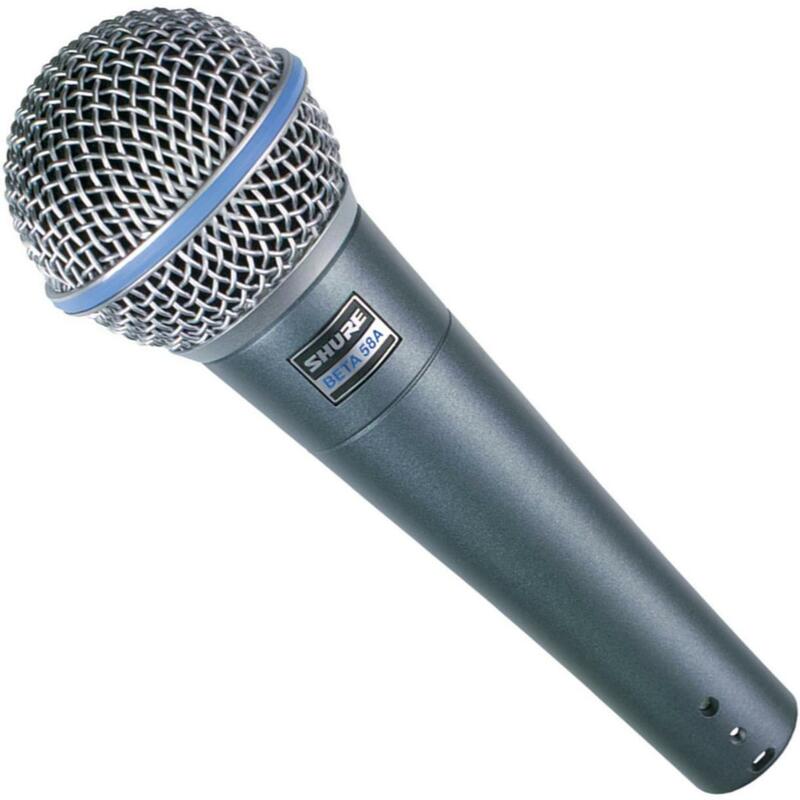 Each microphone has its own characteristics in terms of which frequencies it emphasizes or de-emphasizes. An ideal microphone has a flat response across the entire range of frequencies it responds to, however that is only found in high-end mics. That said, some mics have their own idiosyncratic frequency responses which give them a signature sound musicians have come to really love in certain styles of music - the SM58's classic rock vocalist sound is a great example. If you have a high pitched voice then you might want to be careful using a mic which emphasizes the highs because without proper EQ'ing this could lead to your singing sounding harsh. If you have a low register and you really want to emphasize that then you might look for mics that are strong below 200Hz. If you know your vocal characteristics well then you'll find the frequency response charts to be quite helpful. If all this sounds a bit too technical leaving you uncertain, then get a microphone that is often used in the style of music you perform and you shouldn't have any trouble. When you get very close to any kind of directional mic, one with anything other than an omnidirectional polar pattern, you will notice an increase in volume of the low frequencies. This can make your vocals sound 'warmer'. Typically cardioid dynamic mics have the strongest proximity effect and you see it put to good use live often by male singers and rappers. Some manufacturers supply data on the proximity effect of their microphones and when they do you'll see an extra line showing it in the frequency response chart for the mic. Without getting too technical, impedance can be best thought of as the amount of resistance an electronic device has to electric current flowing through it. A microphone should only be plugged into equipment that has the same or a higher impedance rating otherwise you'll get a loss of signal. Most handheld mics are low impedance (below 600 Ohms) so they generally don't have any issues when used with 'pro' sound gear. If you're unsure about the equipment you'll be using your mic with, such as a low-cost 'consumer' karaoke machine, then it doesn't hurt to check to make sure the mic you want to buy has the same or a lower impedance than the system you're going to plug it into - you can check the manuals or specification sheets of both devices to make sure. This indicates the maximum volume, measured in decibels (dB) you can expose a mic to before it starts having problems like distortion. Very few people can sing loud enough to ever worry about this, but if you're also going to use your mic on amplifiers or loud instruments like drums, then you should opt for a mic with a high Max SPL. If you're unsure how loud something is then you can measure that with an SPL meter - I have an app on my phone that does that which is accurate enough for this purpose, alternatively you can buy hardware SPL Meters which tend to be more accurate. This gear guide is primarily focused on microphones for singing live. Some good live vocal mics can also be used for other applications such as recording or miking some kinds of instruments and/or amplifiers. 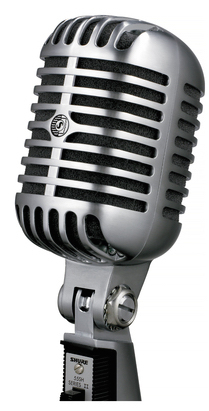 Typically a good live condenser microphone will also serve you well for recording vocals or even acoustic guitar. Good dynamic mics will sometimes work well for miking amplifiers both live and for recording. If you also like to record at home. getting a versatile mic that can serve multiple applications will allow you to get more bang for your buck. Dynamic microphones don't require any power to work but Condenser mics do. Some of them take batteries and others need phantom power. Most live mixing desks these days do provide phantom power, but not all do. If your mic requires phantom power and your mixing desk doesn't provide it then you'll need to get a mic preamp or channel strip to provide the power. We first scoured the market for popular and highly rated wired handheld microphones that can be used for live vocals, including popular dynamic and condenser microphones. For this update, we again narrowed down our scope to those that are widely available from major US retailers, and we still ended up with big numbers - over 65 as our beginning list, along with more than 25,000 relevant reviews, ratings and recommendations, including the most recent ones up to the end of October 2018. All these data were then fed into the Gearank algorithm to produce the scores you see above. Finally Alexander and I broke them down into price brackets and selected the highest rated in each price range. For more information about this process see How Gearank Works. Submitted by Dan (not verified) on Apr. 4, 2016. Submitted by Jason Horton on Apr. 5, 2016. Thank you Dan - many many hours went into the research for this guide, glad you like it! Submitted by Bob S. (not verified) on Apr. 7, 2016. Excellent vocal mic review. Great job! Submitted by Jason Horton on Apr. 7, 2016. Submitted by AZNguy (not verified) on Jun. 3, 2016. Thank you for this very informative and helpful article. Nice layout and easy to read. I hope you don't mind me linking your page from a karaoke forum that I frequent. This topic often comes up so I thought your article will resolve some questions. Submitted by Jason Horton on Jun. 3, 2016. Thanks AZNguy. Please feel free to mention this on the karaoke forum if it will help the members there. Submitted by Emmanuel Z. (not verified) on Jun. 19, 2016. I really appreciate the effort. Well,I am a professional singer. My styles are mainly R"n"B,Blues and Soul. Although, I do these styles in real gospel. My challenge however is, I find it hard recording with the usual large condenser mics just standing in front of me. I want a handheld studio condenser Mic. I want that lively feeling I do have while on stage when in the studio. I shall be going to the studio soon for recording and I want to go with my own mic. Please, I really need your help and recommendations. Thanks a lot. Submitted by Jason Horton on Jun. 20, 2016. Usually you want to avoid holding a microphone in your hands when recording in order to avoid introducing handling noise. If you're absolutely determined to hold a mic while recording then go for the best you can afford that performs like a studio condenser and has low handling noise. You didn't say what your budget was, but if you can afford it then the two best options would likely be the Earthworks SR40V and the DPA d:facto II. Submitted by Matthieu (not verified) on Jun. 19, 2016. Thanks for all the time and effort put into this. Always grateful when I find pearls like this on the web. Thank you Matthieu, I really appreciate that. Don't forget to tell your friends about Gearank.com! Submitted by Declan Smith (not verified) on Jul. 20, 2016. Hey Matthieu, thanks heaps! very useful article. I am playing in a sort of blues rock band and I sing with a low register the other singer is a mid register singer and we are looking for a nice vocal mic which is crisper and more lively than the sm58s we have been using. .What would your picks be? Our budget is around $200-$300, cheers! 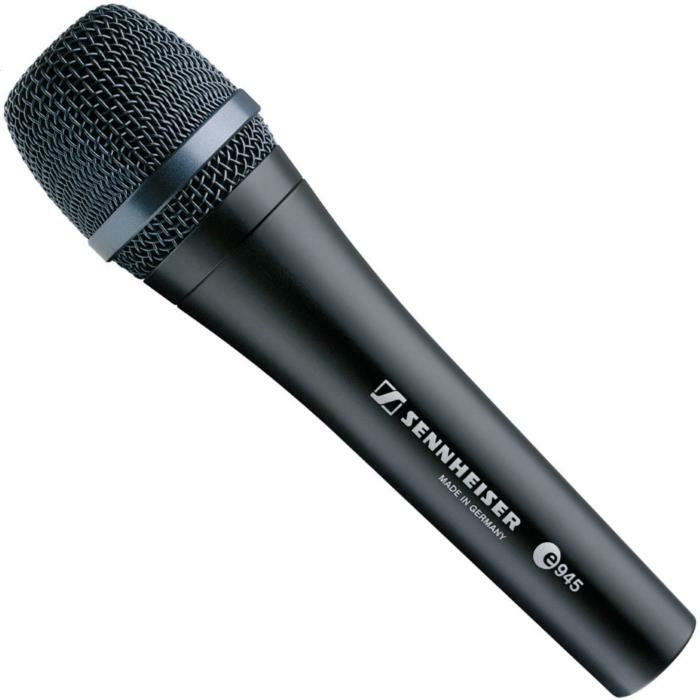 If you want to stick with a dynamic mic then a good step up from the SM58 is the Sennheiser e945. However, if you'd like to transition to condenser mics then the Shure Beta 87A is a popular one to move to from the SM58 for a more lively and crisper sound. Submitted by Abhik (not verified) on Sep. 26, 2016. Please suggest the best live gig mic for soft and hard rock genre. Should it be condenser or dynamic? Submitted by Jason Horton on Sep. 28, 2016. Traditionally rock bands used dynamic mics however with the improvements in live condenser mics in recent years many are now using condensers. If you're unsure which type of mic will work best for your vocalists then use the kind your favorite rock bands use. Submitted by Napoleon (not verified) on Sep. 28, 2016. Excellent write up and very useful from beginner level to pro ones. Great job and really appreciate your effort. Submitted by Jason Horton on Sep. 29, 2016. Thank you very much Napoleon - comments like yours inspire us to work hard at providing the best research and advice we can. Submitted by Ricardo (not verified) on Oct. 19, 2016. What about the Beta 58? no review? Submitted by Jason Horton on Oct. 19, 2016. Hi Ricardo - our guides aren't intended to be a list of every product available but rather they're meant to be as useful as possible and give a very good overview of the category. I decided to include the Shure SM86, which is a condenser mic, instead of the Shure Beta 58A which is a dynamic mic. Both mics have similarly high ratings - here's the Gearank score of the Shure Beta 58A. Submitted by Topcatt Nevarc (not verified) on Nov. 13, 2016. Wondered why you did not include Telefunken M80? These are exceptional live mikes. Colin Blunstone and Rod Argent were using them last time I saw them. I immediately purchased one and have had numerous positive comments every time I use it. Folks liked it better than Neuman 105 through a Eureka Pre and QSC through Klipsch professional. Submitted by Jason Horton on Nov. 14, 2016. At the time when this guide was published the Telefunken M80 didn't have a high enough Gearank score to be included. It has received more online feedback and reviews since then so I processed its Gearank score today and made it available in our public Music Gear Database. Based on it's Gearank score of 91 it would have a reasonable chance of being included if we reprocessed this category and updated this guide today. Submitted by Jeff (not verified) on Nov. 22, 2016. Submitted by Jason Horton on Nov. 22, 2016. One thing that's important to know about Gearank scores is that you can't use them to compare different products or similar ones that are in very different price brackets. When people review and rate the SM58 they're only rating it for what it is and not comparing it to more expensive options like the KMS 105 - we explain this in a bit more detail in How Gearank Works. Submitted by Andrew (not verified) on Dec. 27, 2016. Very glad you mentioned that there are counterfeit mics out there. I had the misfortune of buying a counterfeit Shure SM58 (it certainly was not Shure's fault) off of an online auction site. Great advice you offer to buy from a retailer you trust. Great article all around. Submitted by Marybeth (not verified) on Feb. 4, 2017. This is by far the most research-based article I've found. Thank you for sharing your expertise! I'm a female vocalist looking for a mic that will allow me to sing live with my naturally soft-medium volume voice and will be able to pick up otherwise unheard nuanced inflections. My sound is much like Christy Nockels. Any suggestions would much appreciated! Thanks! Submitted by Jason Horton on Feb. 4, 2017. It sounds like you want a good condenser mic like the Sennheiser e965, Shure KSM9, or Neumann KMS 105/104. Just be aware that although these mics will pick up "otherwise unheard nuanced inflections" they will also highlight imperfections too, but if you can sing as well as Christy Nockels that shouldn't be a problem for you. Submitted by Anonymous (not verified) on Feb. 8, 2017. Thank you for this amazing article. I have been singing for a long time. My voice is compared often to Joni Mitchell, Ricki Lee Jones. The most important part of my voice is really hearing the quality within it. It is not super powerful and I have excellent pitch so a mic that picks up the nuances and clarity of my voice is really important. Without thinking about the price range, what mic would you suggest? Thank you very much! Submitted by Jason Horton on Feb. 8, 2017. With the proviso that it's impossible to give perfect advice without hearing you sing first, it sounds to me that your are a candidate for the Earthworks SR40V. One important thing to note however, is that the quality of a mic like this is wasted when used with lower quality PA systems - but if the rest of the gear you use is good, then this mic with shine. Submitted by Daka Cephas (not verified) on Feb. 10, 2017. Excellent work, this is by far the best review detailed to the core. Thank you so much, and keep it up. Submitted by Jason Horton on Feb. 10, 2017. Submitted by Trish Driscoll (not verified) on Feb. 13, 2017. Thank you for the excellent informative article. I am looking for a mic suitable for jazz vocals; preferably something that isn't harsh sounding but will produce a clear sound. Thank you for any advice, and for your incredible research. Submitted by Jason Horton on Feb. 14, 2017. There are many different vocal styles involved in Jazz so it's hard to provide specific advice based on what you've said. Some Jazz singers make great use of the Proximity Effect and I've heard stunning performances using old SM58s. To avoid sounding 'harsh' get a mic that doesn't emphasize the higher frequencies too much (look at the frequency charts for each mic above) - EG in your case I'd avoid mics like the SM86. Submitted by Tim H. (not verified) on Feb. 15, 2017. Thank you for the in depth reviews! I recently purchased a Telefunken m80 and have been very impressed! It sounds as good, maybe even better, than my Sennheiser md431ii, which I love. And at a far less price point! I'm looking to pick up a high-end condenser as well. I have a KMS105, but it is way too feedback prone and not exactly the tone I'm looking for. I play through a Bose L1 Model 2, with a Bose Tonematch mixer. I use reverb, compression, and a little bit of delay on my vocals, and I sing generally pop-rock & country. In your opinion, would the Earthworks sr40v be a worthwhile investment being used through my Bose PA system? Thank you very much! Submitted by Jason Horton on Feb. 17, 2017. I'm surprised you have a feedback problem with the KMS 105 going through the Bose system because that microphone's response is fairly flat across the ranges that usually cause problems like 1kHz and 2kHz and the Bose system is meant to be designed to prevent feedback. I don't see any reason why you couldn't use the Earthworks SR40V with the L1 Model 2 - just bear in mind that this PA system maxes out at between 12 kHz to 14 kHz, which is 6kHz below most people's hearing range, while the SR40V has a relatively flat response all the way past the top of the hearing range of most people. Although the high end of the Earthworks SR40V won't be used by the Bose system, you will have those frequencies available when you use the mic for recording. Submitted by Sir Dano the good (not verified) on Apr. 17, 2017. In live sound the best mike to use depends on the speakers your using A Shure sounds great through d+b, JBL, Cerwin-Vega, etc., but a sennhieser sounds better through EV and QSC stuff. Is the SM-58 the best sounding mic? Maybe, maybe not, but, it's the sound you hear most often in a professional concert system and therefore it's the standard you measure against. Submitted by Steve F. (not verified) on Apr. 20, 2017. Great page, a lot better than the similar ones I've seen. I'm torn between the e935 and e945 to replace the SM58 I use live presently. I sing lead but also playing guitar, I tend to be all around the microphone at times. I get away with that for the most part with a SM58, but being more of a tenor I'm looking at the 900 series. Would you say the the e945 is not the right choice for me or is more forgiving than I've read about? Submitted by Jason Horton on Apr. 21, 2017. Thank you for your kind words Steve - we do try to work hard on our research. The e935 and e945 are relatively close together in terms of specifications but the e935 is about $50 cheaper. The main difference between the two for you to consider, based on what you said about being 'all around the microphone at times', are the different polar patterns of the two mics. 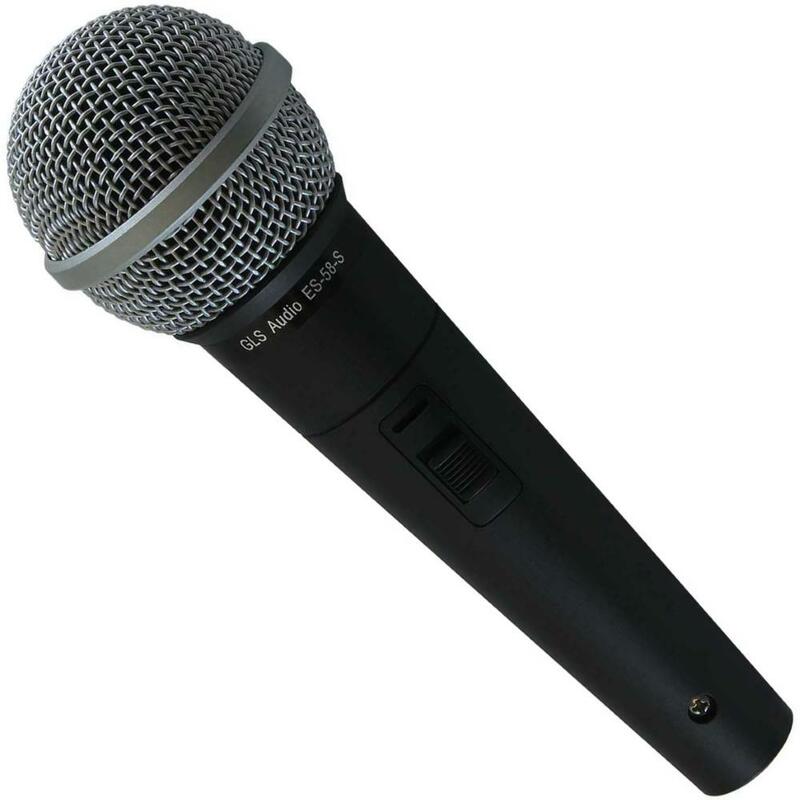 The e935 has a Cardioid polar pattern while the e945 is a Supercardioid mic. This, combined with the fact that the e935 is the slightly more sensitive of the two, means the e935 is more forgiving when off-axis than the e945 is. And given that the e935 is closer than the e945 to the frequency response of the SM58 that you're already used to, I'd say save the $50 and get the e935. Submitted by Robert Eckert (not verified) on Apr. 23, 2017. You have presented information for excellent comparison and decision making. My voice is bluesy, old and well worn... but interesting. I use a Voice Live 2 for stage performance and come through 2 Bose L1-2s' with Tonematch. I cover everything from Stephen Still's Black Queen to post bop jazz while playing electric and acoustic guitar. Can you recommend a mic to replace my Sure 58. I have a good budget. Submitted by Jason Horton on Apr. 26, 2017. Although the Bose L1 systems don't provide phantom power, the Voicelive 2 does so you can use a condenser mic - the Neumann KMS 105 sounds like it would be a good fit based upon the styles you cover. Submitted by Jeffrey (not verified) on Jul. 16, 2017. Submitted by Jason Horton on Jul. 19, 2017. People typically use Overhead Condenser Mics in these situations - we haven't published a guide specific to that topic yet. I can't really advise you on mounting options because that's highly dependent on the way specific venue is laid out and what kind of rigging or trusses are already in place. It might help if you can get someone with experience in sound reinforcement installations to have a look at the venue and advise you on your best options. Submitted by Sponge (not verified) on Aug. 14, 2017. I am a novice at all of this and know nothing about electronic equipment. I will be doing some live local singing performances (solo) for the first time and have no idea what kind microphone to buy that's under $300. Since I will be singing outdoors, I assumed that I would need an amplifier (loud speaker?). I bought a 1000W Thump12 loudspeaker. What kind of microphone should I purchase. Does it plug into the back of the amplifier? Also, I don't understand what phantom power is and what sort of "phantom power" equipment is needed for a mic that runs on phantom power. Sorry for my ignorance but I'm hoping you will help me out. Submitted by Jason Horton on Aug. 15, 2017. Before being able to provide you with a useful answer, we'll need to know if you'll be singing just on your own with no music, or will you be singing to music and how is that music supplied - will it come from pre-recorded music or will live musicians be playing with you? Submitted by Jason Horton on Aug. 16, 2017. Today we removed the AKG C535 EB from the guide above because it has been discontinued - you can still read our analysis of it here: AKG C535 EB Handheld Condenser Stage Microphone . Submitted by Jason Horton on Aug. 22, 2017. Submitted by MoBass (not verified) on Aug. 29, 2017. I simply wanted to give a kudos to you guys for providing this info. I'm actually a bass player with a few groups of all different styles of music from blues, to rock, to R&B, Gospel & even a little country and have tasked myself with running sound with little to no knowledge of how to do so, what mics to use, speakers...etc. Few youtube links on speaker setup, and live sound have helped me a great deal, and then today I stumbled upon your reviews on the different mics & their specs and just want to say thank you for this info yet again. It has been a great help. Tip my hat to you guys, and keep doing what you do. Thank you very much MoBass! Submitted by Jason Horton on Aug. 29, 2017. Thank you very much MoBass! Nearly our whole team worked on this guide and words of encouragement like yours are really appreciated by all here at Gearank. Submitted by Milo (not verified) on Dec. 16, 2017. Great info thanks. Btw, I’ve used a Blue Encore 300 as a drum overhead before. It did a great job. Better than some Senn overheads I’ve used. Submitted by Bianca (not verified) on Jan. 4, 2018. Although this article is extremely helpful, I was wondering if you could advise me further on what mic to get. I sing at Restaurants and will soon be singing on cruise ships, and am needing a new mic to take along. My amp is relatively simple so I think that I should stick with a dynamic mic. I have a very strong voice and a loud belt but need a mic that will be able to pick up my softer falsetto. I really like the look of the Shure SH55 Series II but because I will need my mic for recording at home, I was unsure of this option. Submitted by Despina (not verified) on Jan. 17, 2018. Submitted by koko (not verified) on Feb. 2, 2018. Found the guide so helpful thanks.